Paying homage to Kiev-born artist and founder of the Suprematism art movement Kazimir Malevich, Ukrainian design studio NOOM created a geometric collection of lighting and vases called Suprematic. Designers Kateryna Sokolova and Arkady Vartanov both live and work in Malevich’s hometown of Kiev making his art a natural source of inspiration. 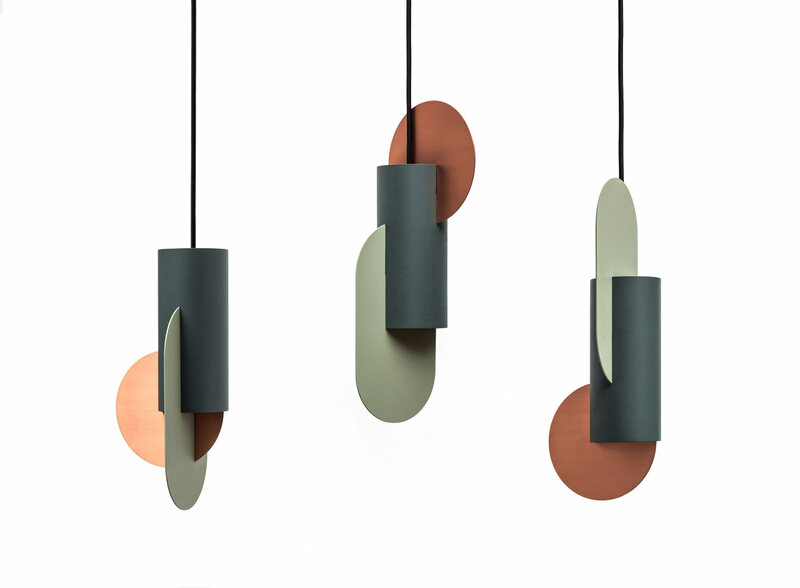 When designing their first collection, the pair incorporated copper and painted steel, geometric-shaped components that join together to form sculptural structures. The geometric components in the vases are not only decorative, they help divide and hold the flowers in place for unique arrangement. Even with no flowers, the vases are art objects on display until they’re filled with flowers again.